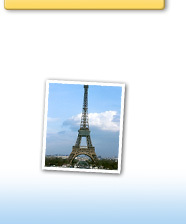 Yes, I want to receive information from eTravel Publications, Inc.
- publisher of FAM News. The following is my profile information. 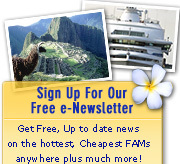 By entering this information, I will receive FREE access to 15 Days of FAM News. The fields with a * are required. Your confidential subscriber name and password to access the FAM Newsletter will be emailed to your contact email address. Please make sure you save that e-mail for future reference. Thank you for entering the above information.